Jobber powers thousands of successful landscaping businesses. Quote, schedule, invoice, and get paid faster so that you can focus on what matters—providing your clients with an exceptional service experience. "The invoicing process was taking up a lot of our time. Now taking care of invoices only takes us minutes. The mobile app allows workers to take care of things out in the field, they can time-in and time-out, hit complete, and BOOM!" Lee Epply, Final Touch Landscaping, Maintenance & Irrigation, Inc.
From quoting to getting paid, in every area of your business, Jobber saves you time. 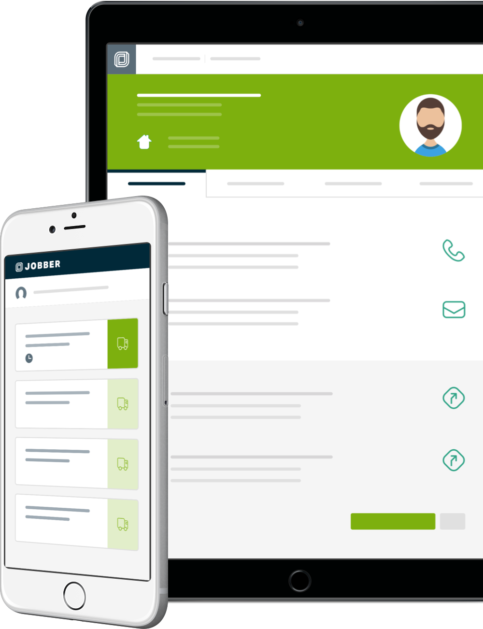 Jobber helps you manage your team, your business, and helps you provide a better service experience. Keep track of important client details whether you’re at the office or on the way to a job. When a client calls with a question, you can look up their info in Jobber immediately—no more shuffling through paper files in the office. Use Jobber's quote templates to send professional quotes, and impress your clients. Your clients can approve quotes online, pay deposits, and e-sign so you have a record of their consent to move forward. Bonus: Jobber reminds you to follow up on quotes so you don't leave hot leads behind. Schedule incoming jobs as one-off visits or recurring landscaping contracts. Your team can see job details through the Jobber app, and they can upload photos and notes to record progress on a job.